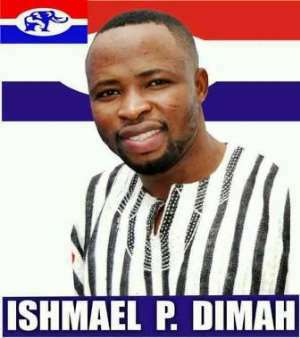 An aspiring New Patriotic Party (NPP) candidate for Upper West Regional Youth Organiser, Mr Ishmael Prince Dimah, has prayed for successful and peaceful constituency elections as contestants intensify their campaigns for various positions in the Region. Mr Dimah who is a Nutritionist at a news briefing in Wa appealed to NPP members to show high level of maturity before, during and after the upcoming constituency elections. He said it was imperative to avoid any electoral violence on the polls day and help maintain the image of Upper West as one of the most peaceful regions. He said he could foresee a lot of 'controversies and accusations' heated on polls day February 24, but urged all candidates to be mindful of their utterances and use appropriate channels to resolve their grievances should they arise. He added that it was better to resort to the party's grievance procedures than taking the law into their own hands. 'The only thing that will show maturity in this our constituency elections is by using the party structures to address our grievances. 'My appeal to all constituency candidates is that they should not bring bad name to the party and we must all remain united after this election,' he added. If given the nod to lead the party's youth wing in the Region, Mr Dimah said, he would work tirelessly to bring all young men and women together to increase the parliamentary seats for NPP in the region. 'My common agenda as a Regional Youth Organiser is to increase our seats in 2020 elections to eight and my target seats are Wa Central, Wa West and Daffiama Bussie Issa constituencies,' he said. He commended journalists in the region for playing their gate keeping roles by keeping the media landscape very calm and peaceful by always avoiding hate or hash language.